No matter how you envision your ceremony, our charming officiants are skilled at capturing your love to create the magic that is your very own ceremony. And we also wholeheartedly believe that the entire wedding ceremony planning process should be interesting, romantic and fun for you. We’ll provide all the support and guidance you wish as we plan for your ceremony to be the wonderful cornerstone of your new life together. Your invited wedding guests are not just observers in an audience; they are the special people you have chosen to be with you at this beginning of your marriage journey. With your custom created ceremony, we make sure your guests are truly a part of the celebration and that your wedding is a deeply meaningful experience for them too. We hear time and again from wedding guests how moving and important it felt to not just witness but to share in the ceremony as an honored participant.  Contact us at Journeys of The Heart for the opportunity to create a ceremony you and your loved ones will never forget. We offer a complementary, no-obligation consultation with the officiant of your choosing to connect and chat about your ceremony to make sure we are the perfect partner for your ceremony planning. We cannot wait to hear from you to begin the fun! Rehearsal on a day separate from the ceremony. Rehearsal in the hour before the start of the ceremony. Occasionally there might be a circumstance when a couple may not be able to afford our services or are under severe financial constraints. We will do our best to try and work with you. Simple elopements in our space, your home or a park.